Drug-induced lupus erythematosus (DILE) is defined as a lupus-like syndrome temporally related to continuous drug exposure which resolves after discontinuation of the offending drug. There are currently no standard diagnostic criteria for DILE and the pathomechanisms are still unclear. Similarly to idiopathic lupus, DILE can be diveded into systemic (SLE), subacute cutaneous (SCLE) and chronic cutaneous lupus (CCLE). 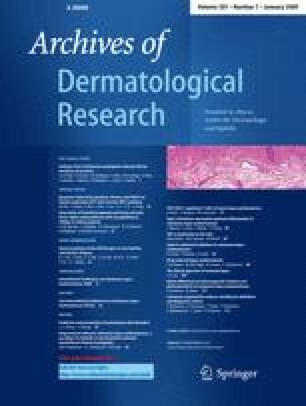 Systemic DILE is characterized by typical lupus-like symptoms including skin signs, usually mild systemic involvement and a typical laboratory profile with positive antinuclear and anti-histone antibodies, while anti-double strand (ds) DNA and anti-extractable nuclear antigens antibodies are rare. High risk drugs include hydralazine, procainamide and isoniazid. Drug-induced SCLE is very similar to idiopathic SCLE in terms of clinical and serologic characteristic, and it is more common than the systemic form of DILE. Drugs associated with SCLE include calcium channel blockers, angiotensin-converting enzyme inhibitors, interferons, thiazide diuretics and terbinafine. Drug-induced CCLE is very rarely reported in the literature and usually refers to fluorouracile agents or non steroidal anti-inflammatory drugs. Recently, cases of DILE have been reported with anti-TNFα agents. These cases present with disparate clinical features including arthritis/arthralgia, skin rash, serositis, cytopenia and variable laboratory abnormalities. DILE to anti-TNFα agents differs in several ways to classic DILE. The incidence of rashes is higher compared to classical systemic DILE. In most cases of classic DILE visceral involvement is rare, whereas several cases of anti-TNFα DILE with evidence of renal disease have been reported. Low serum complement levels as well as anti-extractable nuclear antigen antibodies and anti-dsDNA antibodies are rarely present in classic DILE, whereas they are reported in half the cases of anti-TNFα DILE; in contrast, anti-histone antibodies are described in classic DILE more often than in anti-TNFα DILE. Recognition of DILE in patients receiving anti-TNFα therapy can be difficult due to the symptoms of their underlying disease. A temporal association (months to years) of the offending drug with characteristic or suggestive symptoms, and resolution of symptoms on drug withdrawal is the best evidence for this diagnosis of DILE. The authors have no potential conflict of interest.